Portugal is something of an undiscovered gem for hikers, offering beautiful, diverse landscapes and vast amounts of space. 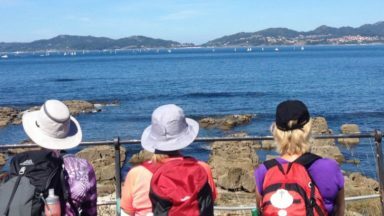 Thanks to its variety of micro-climates, it is possible to find pleasant walking conditions in all seasons, and the multitude of trails boast fantastic scenery and are rich in natural, historical and cultural interest. 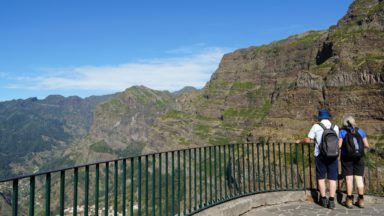 This guide describes 40 graded walks, ranging from gentle family strolls to strenuous mountain hikes (including Portugal's highest peak) and multi-day routes. 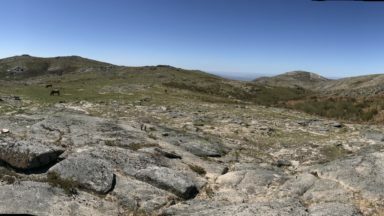 The walks are spread throughout Portugal, with a focus on the country's many natural and national parks, including Peneda-Gerês, Serra da Estrela and Costa Vicentina. Clear route description is illustrated with 1:50,000 mapping and a route summary table makes it easy to choose the right walk. As well as practical travel advice, there is information on Portugal's geology, history, plants, wildlife and agriculture and on numerous local points of interest. 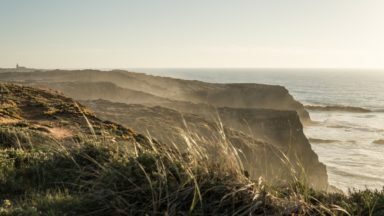 From the rugged mountains of the north to the UNESCO-listed Rio Douro river valley, from traditional schist villages to the unique geology of the Algarve coast, the walks have been carefully selected to showcase some of the best Portugal has to offer. They take in granite peaks, wildflower meadows, woodland, waterfalls, castles, churches and archeological remains. With routes suitable for most ambitions and abilities, what further inspiration do you need to discover the myriad delights of this wonderful, yet frequently overlooked, destination? Portugal may be best known for its coastal resorts and easy-access holidays, but get away from the swathes of holidaymakers and you'll be in for a treat. 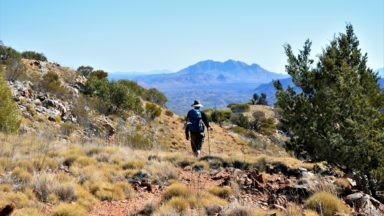 The terrain is incredibly varied, with rugged coastline, beautiful national parks and rocky mountains scattered across the country. Walking in Portugal is a handy little guide that is the perfect accompaniment for an adventurous holiday in the country, with 40 walks of varying lengths and difficulties outlined in detail. Among them, you'll find multi-day long-distance paths and shorter day walks. You know some travel guide books are going to be good as soon as you open them and skim through a few pages. Walking in Portugal: 40 graded short and multi-day walks throughout the country by keen world hikers Andrew Mok and Simon Whitmarsh is one of those books. For any travel guide to be a success, especially a walking guide, it needs to answer certain questions. Among these are: does the book have easy to understand and follow maps? Walking in Portugal certainly does. Is the book well organized into sections by area? Check. Do the photographs add to the understanding of the text? Check. Are there sections on what to take and where to purchase maps of the walks? Check again. In addition the first part of the book is full of useful information on what to expect and how to prepare to walk and hike one of Europe's most beautiful countries. There is useful information on Portugal's geology, flora and fauna, weather, food and drink and where to stay. The appendix also has a summary of the 40 walks covered in the book and listed at the beginning. These walks range from mountain hikes in the Peneda-Gerês National Park in the north of the country to walks in the Algarve region in the south. There is also a list of useful contacts (airlines, maps, accommodation) and a short language section. The description of the walks themselves is, of course, mostly directions, (very, very detailed directions) and this book is meant to be taken out into the field. It is thus small enough to fit snugly in a pocket or rucksack. 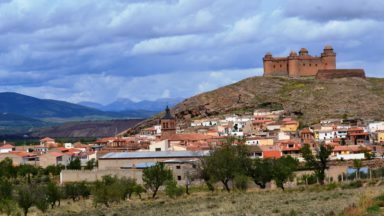 However, the text is enlivened by the authors' asides on the history, plants, animals and legends walkers following in their footsteps will be thrilled to discover. Portugal is well-known to visitors for its historic cities and glorious beaches. This excellent book opens up another side of the country and makes it accessible: Portugal's rich and diverse landscapes, the empty spaces and wonderful scenery. 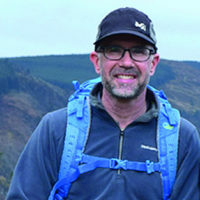 ​​Simon Whitmarsh is a keen walker, covering over 2000km a year. He has walked extensively in Britain, doing (at least part) of all the major trails, has hiked across England twice, and has walked in most countries in Europe. More recently his addiction to mountains has increased, with treks in the US (including many parts of the Appalachian trail), Australia, New Zealand, Hong Kong, and Nepal (Everest Base Camp). 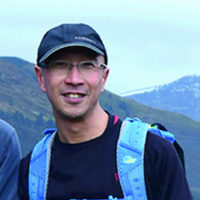 ​Andrew Mok is a keen walker, covering over 2000km a year. He has walked extensively in Britain, doing (at least part) of all the major trails, has hiked across England twice, and has walked in most countries in Europe. More recently his addiction to mountains has increased, with treks in the US (including many parts of the Appalachian trail), Australia, New Zealand, Andrew’s native Hong Kong, and Nepal (Everest Base Camp).